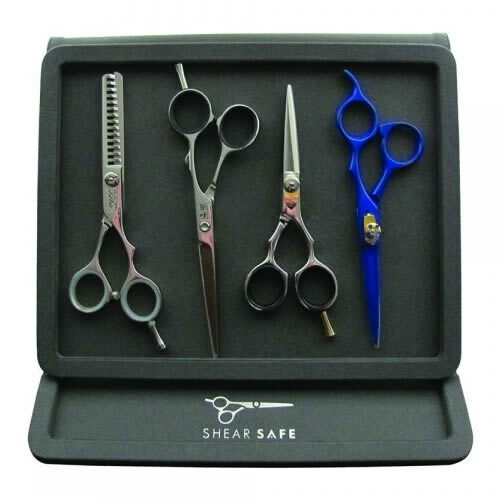 Durable and great-looking magnetic storage for your scissors and razors. 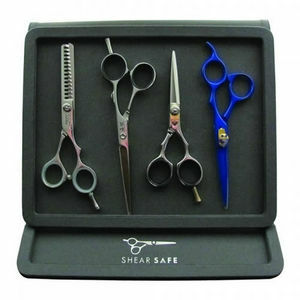 The Shear Safe Display & Carry Case employs Rare Earth magnets within its design to securely store up to 4 pairs of scissors or razors. 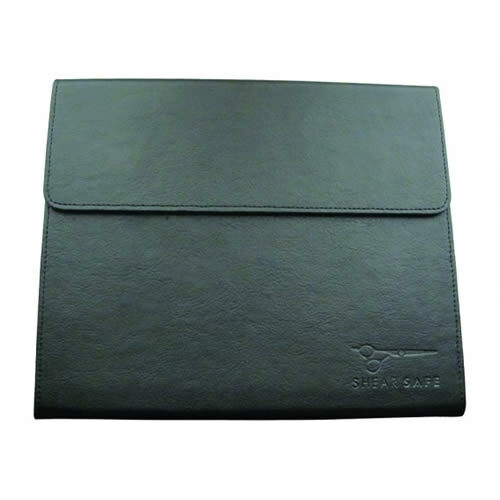 It gives a great sense of safety as it has been manufactured from highly durable materials. Works equally well in situ at your workstation for secure storage while showing off your tools and is obviously brilliant for transportation of them, too. The case looks fantastic and encloses the tools completely when needed (see picture). £29.94 (inc. VAT) Why no VAT? We're a trade wholesaler and quote our prices without VAT to help our VAT-registered customers understand the true cost of a purchase.